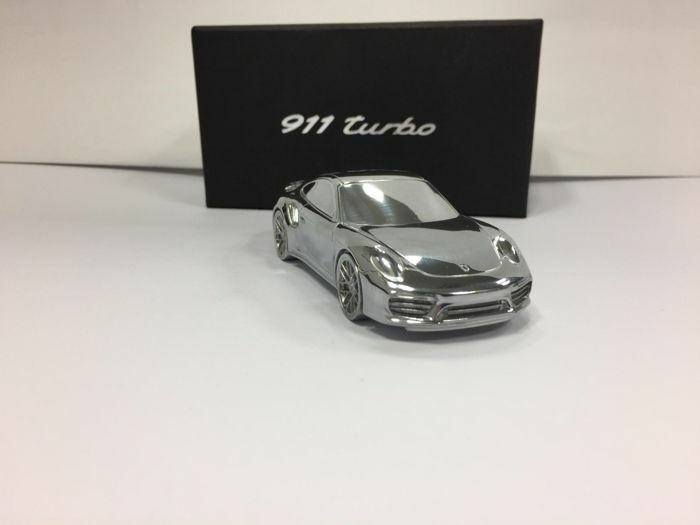 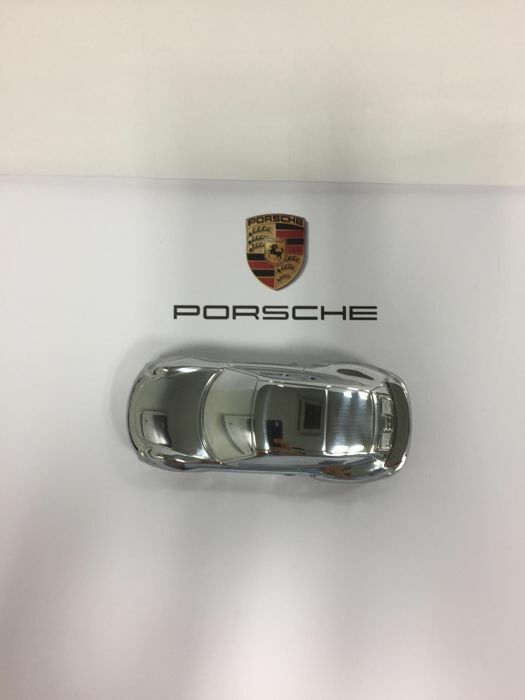 You are bidding on a model Porsche 911 Turbo in its packaging. 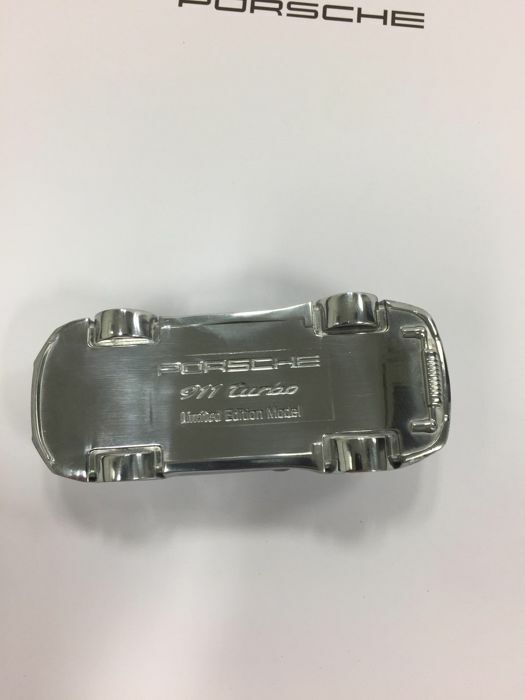 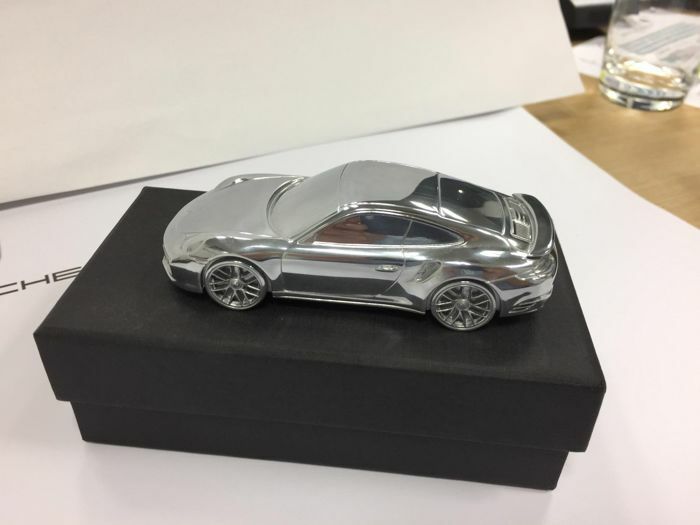 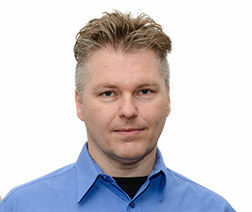 The car is approximately 11 cm long and weighs 250 g. This is an aluminium die-cast model. 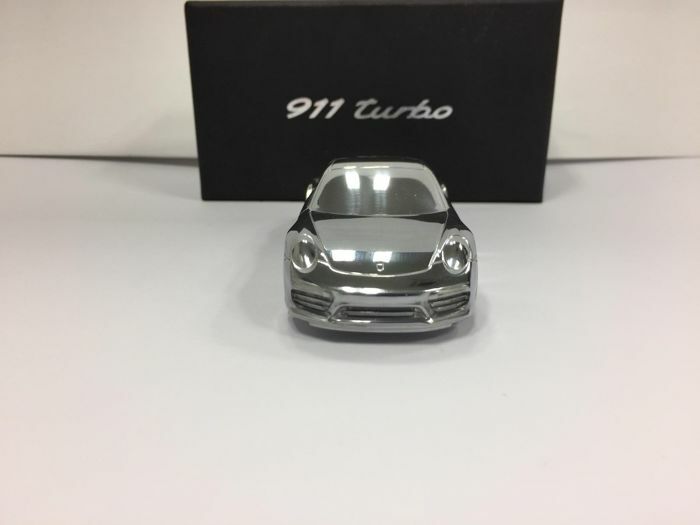 Limited edition, which was gifted to customers to present the new 911 Turbo. 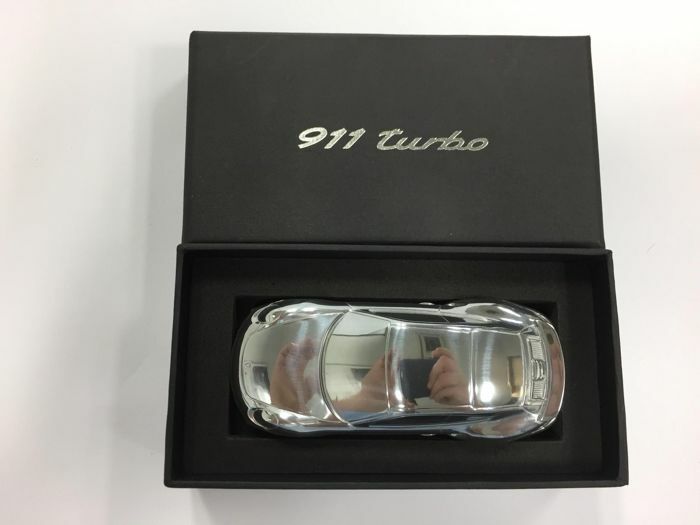 It’s a collectible that can also be used as a paperweight.